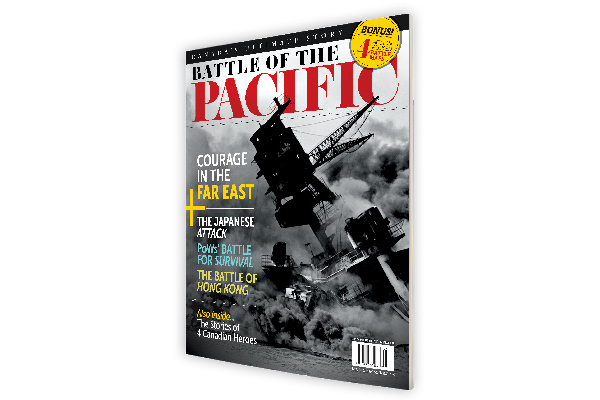 Canada’s war in the Pacific began over 75 years ago on December 7, 1941, when Japanese aircraft attacked the U.S. Navy base at Pearl Harbor, Hawaii. Respected historian J.L. Granatstein tells how the Pacific war affected Canadians from the two under-trained and under-equipped regiments that were lost to a man when Hong Kong surrendered on Christmas Day, 1941, through to air force deployments in the Far East, the invasion of Alaska, the shameful treatment of Japanese Canadians on the West Coast and the dropping of atomic bombs that ended the fighting. This 100-page book is beautifully illustrated with four action-packed maps, war art and nearly 100 rare archival photographs.